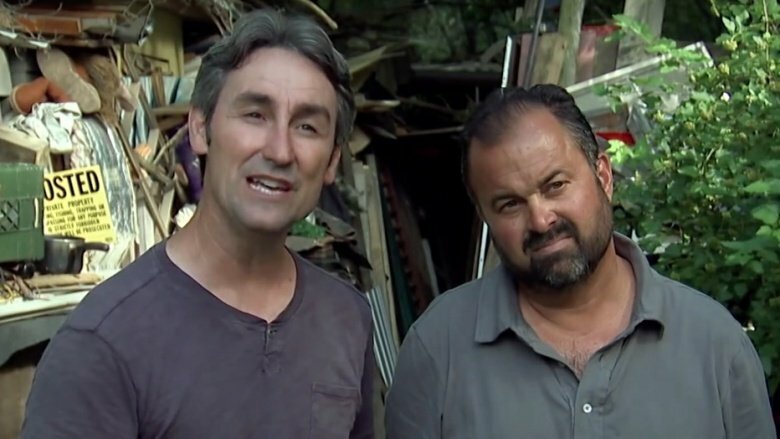 The cast of American Pickers is known for finding treasure inside mountains of garbage. And that's just what's happened here: we've scrounged through the hidden lives of the pickers—as well as some of those from whom they've picked—and the best bits are presented here for your pleasure. 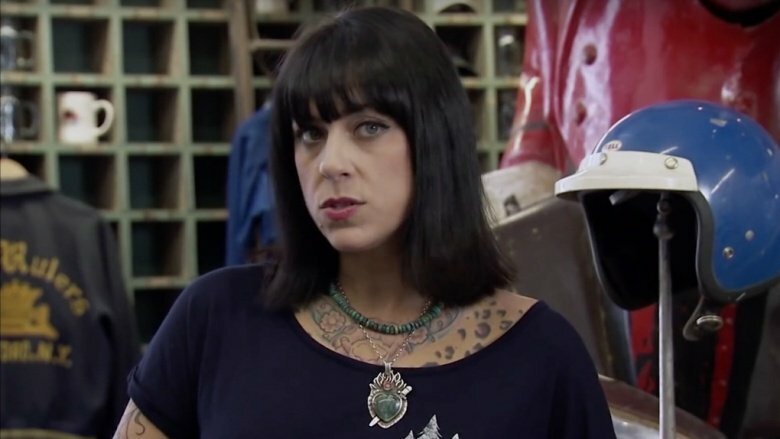 Ever the entrepreneur, American Pickers hottie Danielle Colby doesn't limit herself to picking through junk looking for treasures. Before she gained fame on the History Channel hit series, she earned a living by working as a burlesque dancer, which she continues to do. But she doesn't just dance. Her devotion to this art form is such that she's also produced a documentary focusing on Tempest Storm, a legendary dancer with a decades-spanning career. For a time, she also owned a little boutique of her own, 4 Miles 2 Memphis, which was located not far from American Pickers headquarters Antique Archeology. Perhaps because she has her hands in so many vocations, Colby's had a habit of forgetting to give Uncle Sam his cut of the action. Back in 2013, the IRS informed Colby that she owed just under $6,000 in unpaid taxes from her shop 4 Miles 2 Memphis. And that was her first notice. Over the next couple of years, she received at least four more. By 2015, she reportedly hadn't paid any of the money she owed, which continued to snowball. Let's hope her other business ventures are squared away. Though it's her job to direct the guys to their valuable finds, Danielle Colby keeps an eye out for her own collections as well. In an interview with Monsters & Critics, Colby said that she's always on the hunt for "vintage stage costumes." Combining her love of americana with her burlesque alter-ego, Colby said that she's amassed "an extensive collection from all around the world, as early as the 1800's," which includes "a very rare costume from Lillie Langtry of the 1890's, an original early Mata Hari stage costume from 1910-20, and a banana skirt believed to have belonged to Josephine Baker." Cool. We have no idea what any of that is, but if someone told us it was worth a lot of money, we guess we'd have to believe it. The art of finding an item of value in a pile of junk isn't something that can be learned overnight. It takes years of practice to hone those skills. 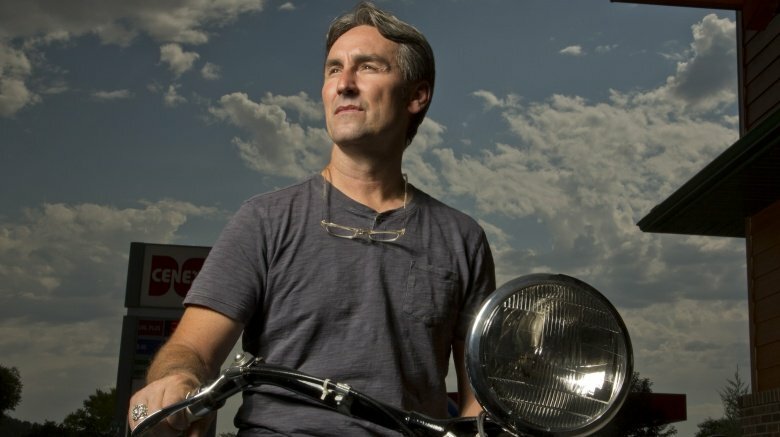 And Mike Wolfe definitely has plenty of practice: his passion for junk started during his childhood, after he sold a bike he found for $5. From there, he began lurking in alleyways and derelict houses hoping to find anything worth a couple of bucks. He also made a habit of harassing farmers until they let him look through their barns for old bicycles, which he bought for $50 and sold for up to $5,000. Quite the racket. For some reason, people got it into their heads that two grown men who spend 24/7 together driving around the country in search of antiques might possibly be lovers. 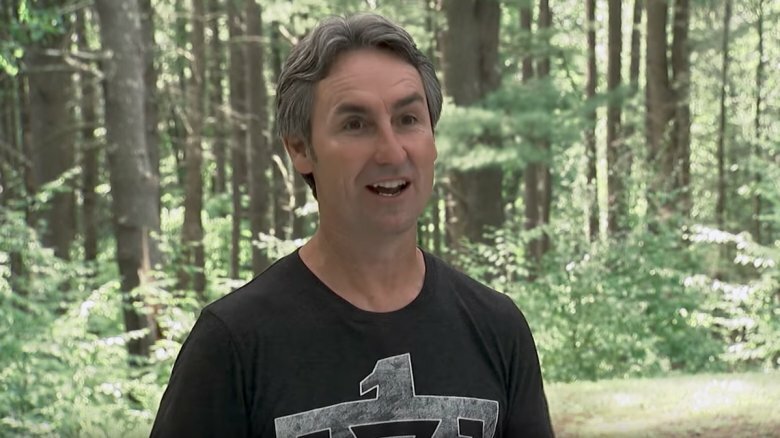 We know, it makes no sense, and in fact, Mike Wolfe has been talking about his wife, then-girlfriend, Jodi, in interviews as far back as 2011, just one year after the show premiered. But questions always lingered about the notoriously private Frank. Fake news sites, like the dubiously named Internet Chronicle, have even had a blast writing what basically amounts to American Pickers fanfic over the years. But costar Danielle Colby did her best to downplay the suggestion, telling Starcasm, "I do not understand the Frank gay scenario??? Frank Fritz does not in any way whatsoever appear to be gay to me at all. As opposed to Mike? Mike is more clean shaven, hipster, fashionable dude but either way, that dog don't hunt… " Fritz eventually started opening up about his love life, casually dropping a mention of his girlfriend in a 2016 Q&A with The Columbus Dispatch, and eventually posting pics to Facebook in May of 2017 with a woman he refers to as "my lady." So there you go, case closed, and no, we don't want to talk about that awkward hug at the end of the show intro. Hetero bros snuggle into each other's shoulders for hugs all the time. Everyone knows that. Like with most vocations, there's always the danger that it'll become a lost art. Well, Mike Wolfe has already taken action to make sure that doesn't happen to picking. First, Wolfe penned Kid Pickers: How to Turn Junk into Treasure, a children's tome on how to do what he does. Also, he started a website with the same name, providing little pickers with a social media outlet and community to keep them all connected. Looks like Wolfe's got quite the little empire brewing. 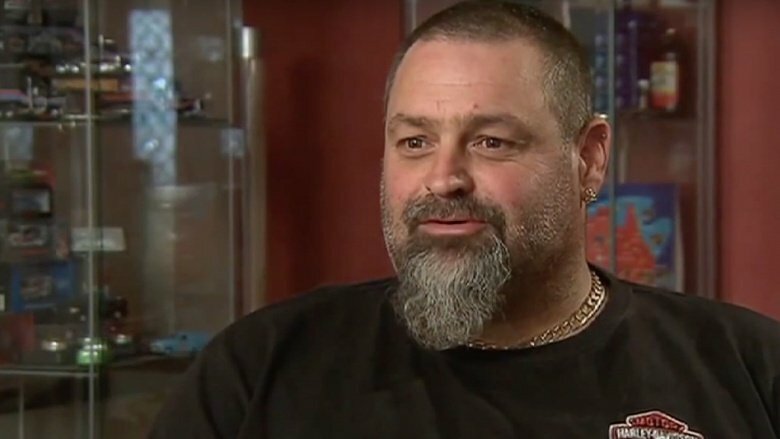 Despite all the fame Wolfe and company have gained since American Pickers captured American hearts, he doesn't think they deserve it. (You have to wonder what his co-workers think about that.) According to Wolfe, the real stars are the eclectic characters, like Hobo Jack and Prince Mongo, who allow the pickers to root through their belongings in search of gold. Wolfe goes on to say that viewers remember the people, not what was bought from them, and sums it all up with, "it's always been an honor that people open their homes and their hearts to us." Quite the honor indeed. 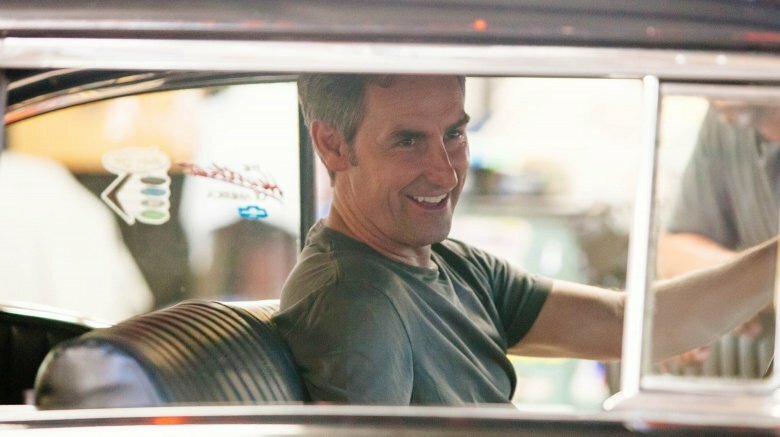 Mike Wolfe's daughter, Charlie, was born on January 20, 2012. She was born with cleft lip and palate, which are birth defects resulting from of a lack of "tissue in the mouth or lip area, and the tissue that is available does not join together properly," according to WebMd. After receiving top care to fix Charlie's condition, Wolfe decided to become an ambassador for Operation Smile, an organization dedicated to providing free surgeries to children worldwide who are afflicted with the same condition. To help raise money for Operation Smile, Wolfe partnered with Isabel Bloom, a local Iowa company, to create the Charlie's Smile sculptures. Each figurine is a likeness of Wolfe's daughter "sitting on her favorite dog, Bethel," and wearing a tutu and pink galoshes. No, they're not priceless vintage finds, but they're adorable, and they help fund a worthy cause. Nicely done, Wolfe. 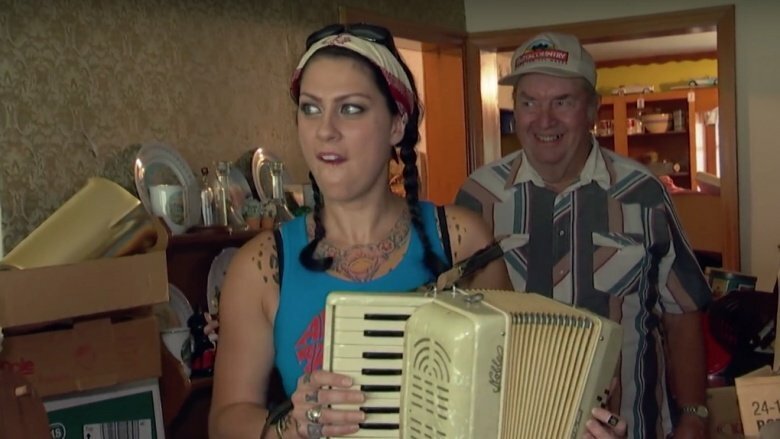 World-renowned hobo and American Pickers regular (sort of), "Hobo Jack" Sophir isn't any ordinary hobo. He's published three books as of this writing, churning out the classic Amazing Adventures of the Tramp Prince among other tomes. In addition to his literary ambitions, Backwoods Jack, as he's also known, fancies himself a musician. Playing guitar and piano by ear, Jack has released five albums. According to his website, since he handles the orders himself, it could take "weeks or months" for orders to be fulfilled. Get your copies now! Though he only appeared on the show once, Robert "Prince Mongo" Hodges is quite unforgettable, as the residents of his hometown know all too well. The Memphis resident not only dwells within a crumbling castle, but he's also run for mayor numerous times, mounting his first campaign in 1991. The King of Zambodia, which he calls himself despite only being a prince, also made a nuisance of himself when he attempted to give away the castle in which he resided. The only problem was that he didn't own it. An actual king without a castle—how sad. 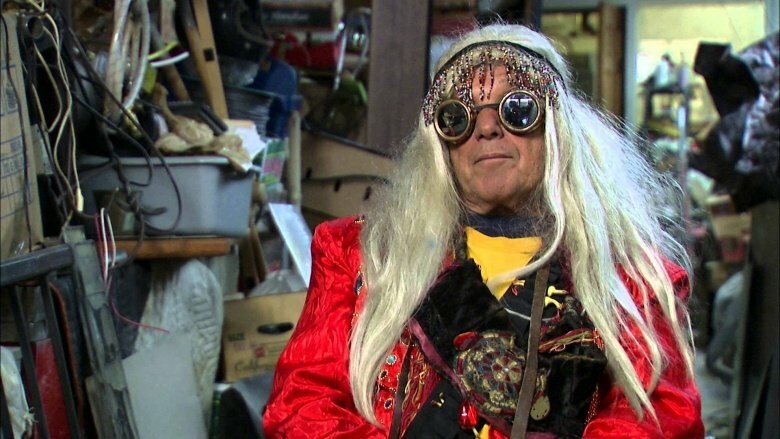 "Mole Man" Ron appeared in one episode of American Pickers' first season, during which the guys crawled throughout his subterranean lair hoping to find some goodies. 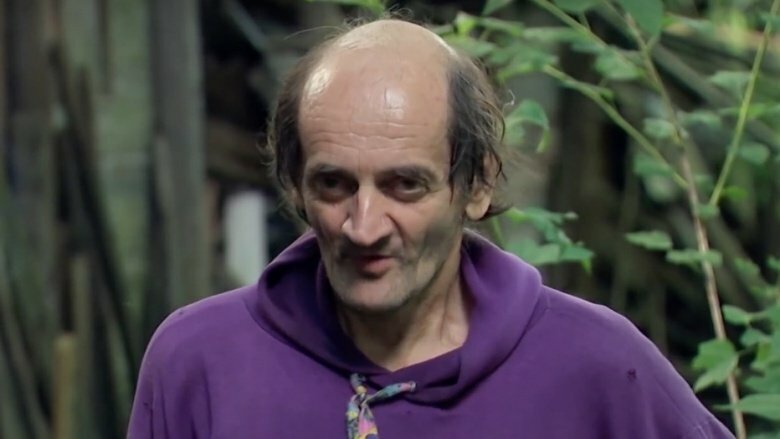 The purple-hoodied Marty Feldman lookalike gained enough fame that someone else attempted to cash in on it. In June 2011, an ad was posted on Yard Sales Pittsburgh promoting a sale featuring items from the Mole Man's burrow. Mole Man himself wasn't listed as an attendee, but the ad did mention he'd be stopping by from time to time. It's very possible that almost everyone who went to this sale "just missed him." 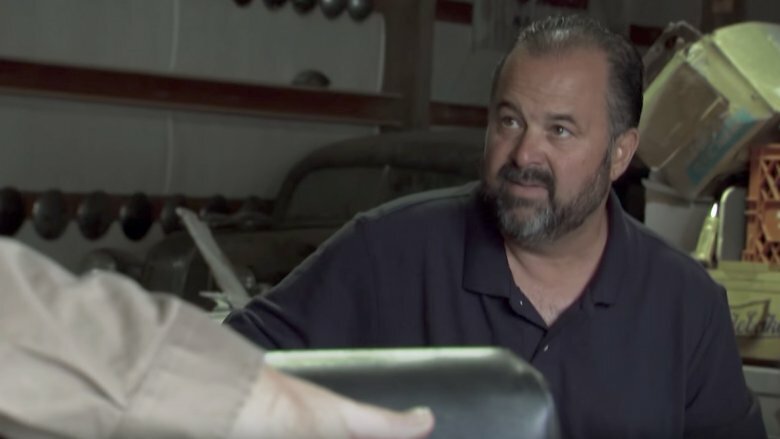 One of the criticisms of American Pickers is that they basically rip people off by buying things real cheap so they can sell them for a huge profit, and it didn't help when Frank Fritz was sued for allegedly swindling a South Carolina man named Jerry Bruce. Bruce needed a polarimeter for a museum he wanted to open and offered to buy one from the pickers after he saw them purchase one on their show; Fritz, in turn, offered to sell it to him for $300 plus shipping. After Bruce sent his check, Fritz went dark. Now, to be fair, Fritz never cashed the $300 check Bruce sent—but he also never sent Bruce the polarimeter, and Bruce filed a lawsuit against Fritz. For whatever reason, Fritz didn't even show up to defend himself, and Bruce won $1,000 plus court costs. Not the best boost for an image problem. American Pickers has proven to be so popular that other countries have attempted to imitate it. Both Canada and Australia have their own versions, and the Canadian show lasted for four seasons—apparently there's more to the Canucks than frozen tundra and hockey. The Aussie version, called Aussie Pickers, didn't last as long, only two seasons. However, it received great reviews during the brief period it aired. When the show started, Wolfe owned a house in Iowa, where the main store is located. Judging from how excited he and Fritz get when they come upon strange or quirky places to pick, you'd be forgiven for thinking he might live in a picker's paradise, a la Hobo Jack. Maybe he'd even have some tunnels like "Mole Man" Ron. Even just a purple hoodie hanging around somewhere? But if you thought any of those things, you'd be wrong—his place wasn't as cluttered and antique-y as all that. He told the New York Times, "I love this stuff, but I would never live in a place that looks like the places we pick." At the time, he owned a nice building on the river in downtown LeClaire, Iowa. It had ground-floor retail space that he rented out to other businesses, and he lived in a duplex apartment on top. Not bad, buddy. When you're successful, money and fame soon follow if you've played your cards right. Wolfe played his just fine. Within a couple years, he opened a second retail location of his store, Antique Archaeology, in Nashville and launched his own very hip fashion brand. He even pitched a scripted sitcom to television networks that would have been "a workplace comedy set in an antiques and collectibles shop." CBS bought the pilot, but it doesn't seem like it went any further than that. But he made plenty of money with other different ventures, then took his wife and daughter to the Nashville suburbs and bought what can only be described as a true estate: 5,100 square feet on 32 acres of woodland. That should be plenty of room for the 40 (yes, "forty," not a typo) motorcycles he counted in his collection when he moved in. Who knows how many he has now? The house also features a built-in telephone booth, a castle-like turret, and a few other touches, like 150-year-old front doors and gates from the 1860s. Is it hard for him to go back to filming the show, digging through people's forgotten trash, when he lives in the lap of luxury? Or maybe he's just really good at acting like it. 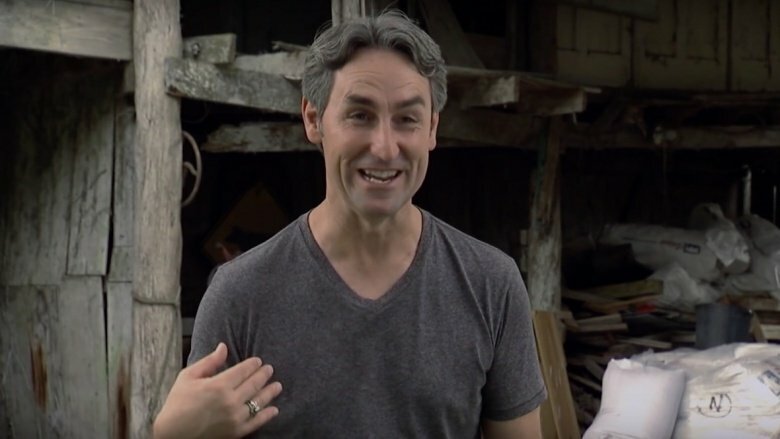 Either way, Mike Wolfe has his fingers in all kinds of historical pies. 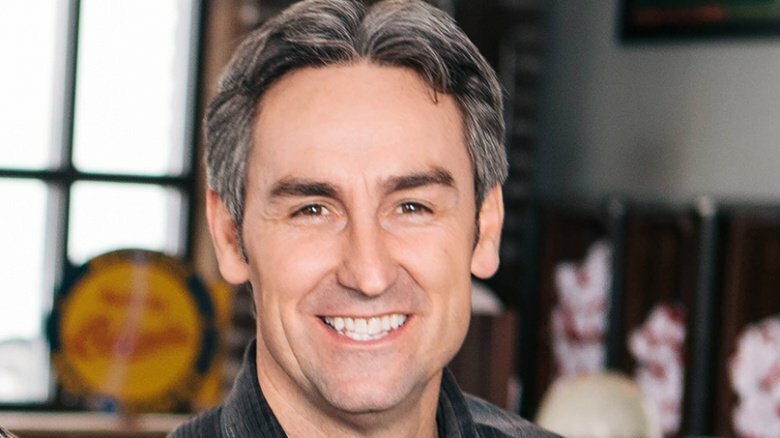 One of Wolfe's big ambitions after American Pickers became successful was to launch a kid-friendly version to get kids interested in history, picking, and antiques. He pitched Kid Pickers to TV networks, and as previously mentioned, started a website and wrote a book for young, aspiring antique aficionados. He even partnered with the Smithsonian to run a national student contest around the idea. The TV show never took off, but Wolfe still has his passion for history. He also helped out with a mobile museum project in Iowa, voicing some of their video exhibits and throwing a launch party. He's also donated plenty of his picks to various museums and good causes, and he recently partnered with a national trust to "raise money and awareness for the forgotten places of our communities." But the most obvious tell is just watching him on the show. The excitement and joy he has on his face and the giddiness of his body language seem to be a man who just gets jazzed about all kinds of antiques. 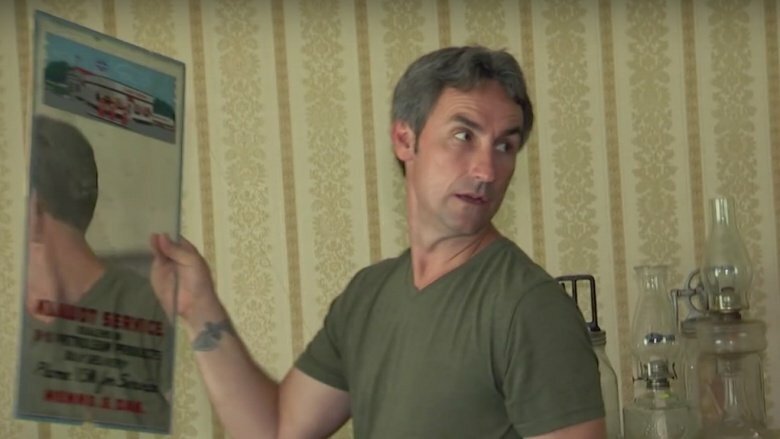 Of course, some people think American Pickers is staged. In their eyes, Wolfe is a terrific actor, but nothing else. Have you ever thought to yourself in the middle of an American Pickers episode, "How can they support merchandise for Wolfe's and Fritz's three storefronts from the "picks" they shove into that panel van and drive across the country?" The answer is, they don't. First of all, Fritz has openly talked about how they also travel with a giant moving van, which actually transports their "picks." And even though they actually buy way more than is ever shown on the series, Wolfe told Fast Company in 2015 that he's basically become a clothing retailer, not to mention a savvy real estate investor, as noted by the fact that the interview was conducted at his renovated car manufacturing plant in downtown Nashville, which now houses "a craft beer brewery, photography studios, a boutique candy store, and, of course, a coffee shop." 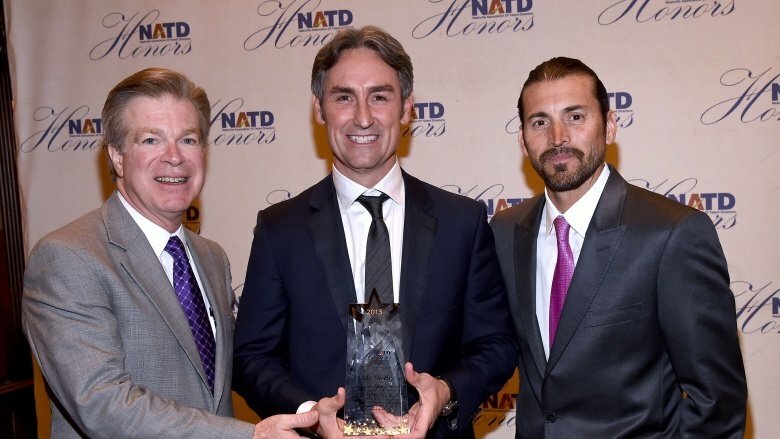 "Ninety percent of our sales are clothing, so all of a sudden I'm in the clothing business," Wolfe said of the true secret to his wealth, adding, "Now we're looking at brand licensing and merchandising. Take it to Kohl's, take it to JCPenny's. My stores do millions of dollars a year in sales in merchandise, but not what they would do on a Black Friday at a big-box store." For a guy so enamoured with the past, he sure embraces the commerce of now. The odd couple dynamic of Wolfe and Fritz is one of the key components to their chemistry on the show, and apparently it's pretty authentic, for as slick of a businessman as Wolfe seems to be, Fritz admittedly wants no part in it. In that same Columbus Dispatch Q&A, Fritz spoke about his life of picking in his characteristically dispassionate way. "I haven't found anything that's really blown my mind," he said. When asked if he plans to expand into multiple retail locations, like Wolfe has, Fritz couldn't have given a more enthusiastic no. "I don't have any plans for other retail. … When the show's over, I will get rid of my stuff. … I'll go back to just being Frank, still living in my town. I haven't bought a big house, no fancy cars. I still drive my '86 Ford Ranger, still live in the same house I've lived in for 26 years." So basically, unless Kohl's wants to open a location in Fritz's garage, there's probably no t-shirt line in his future, either. The short answer is "It's hard to tell." The slightly longer answer is "Probably, because it's reality TV." 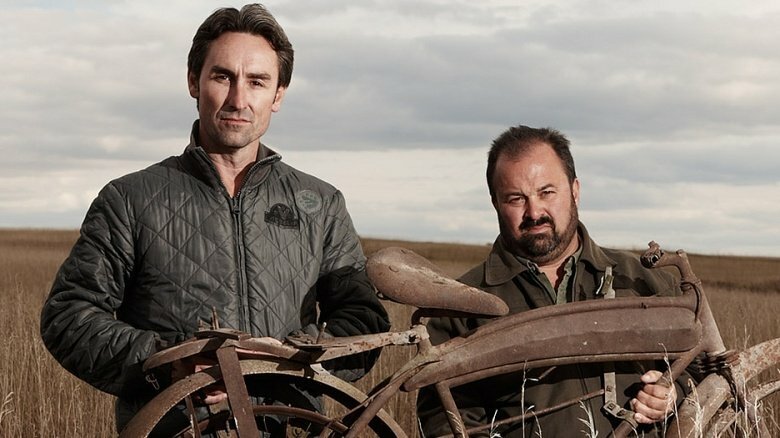 The question of whether American Pickers is staged, fake, or embellished has been hotly debated since the show started airing. There's no smoking gun here, but there are a lot of small pieces of evidence that seem to add up and point in the same direction. Many people start out with a simple dollars and cents analysis—if these two guys really drive to far-flung corners of the country and spend all that time puttering around back roads looking for leads, they'd have a hard time even paying their gas bill when most of their deals come in at maybe one Benjamin in "profit." And they sure don't make up any major ground when Frank obsesses over a bunch of oil cans he wants to flip for $20. There are allegations all over the internet that American Pickers is fake. Lots of people have come forward in different threads and forums claiming that they know someone who's friends with Frank and Mike or have met them in person. According to these people, the show is staged and Frank and Mike are haughty, mean people. Some say that producers do all the work of scouting locations, finding items, and haggling over prices. Then Mike and Frank just show up and magically find some great items. For his part, Mike insists it's more real than that. He told Script magazine, "I want people to know this show is not fake. I've always tried to keep it as real as possible to what I actually did." Now we just have to decide if we believe him or not. Like the vintage items "picked" from collections across America, the original theme music featured on the American Pickers intro was recycled from part of a song by the band, Reckless Sons. That chunk of melody was then "picked" by Jared Gutstadt, the creator of Jingle Punks, which is a music licensing company that he once described to Guitar World as "a matchmaking service between bands and media companies." After successfully creating a theme song for fellow History Channel show, Pawn Stars, Gutstadt was tapped to put something together for American Pickers that would "sound like The Band meets The White Stripes meets seventies-era Rolling Stones." 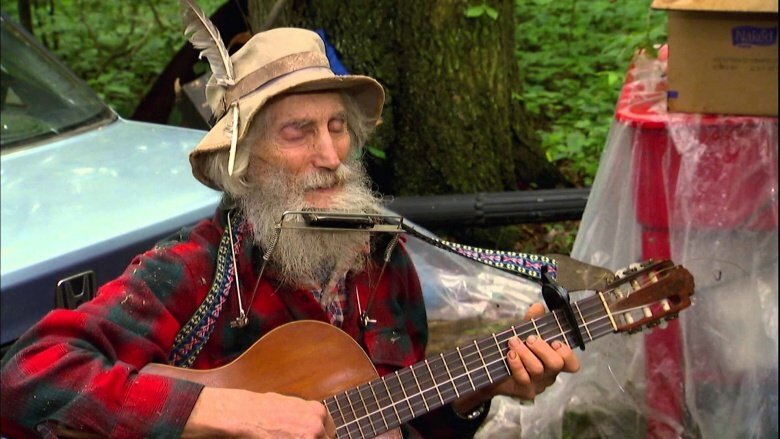 Think of it like this: Instead of crawling through dusty barns full of junk looking for treasure, Gutstadt crawls through obscure music looking for melodic gems he can repurpose into TV show themes. Which maybe isn't a perfect analogy, but you know what we're trying to say here. 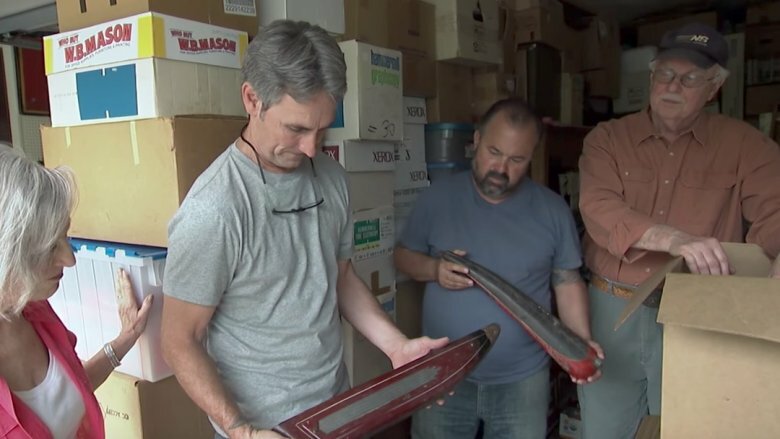 Whether you think American Pickers is totally fake or the most real thing on television, there's one lesson we can take from the show: old, beaten-down things that seem broken or forgotten can still have value to someone, somewhere. 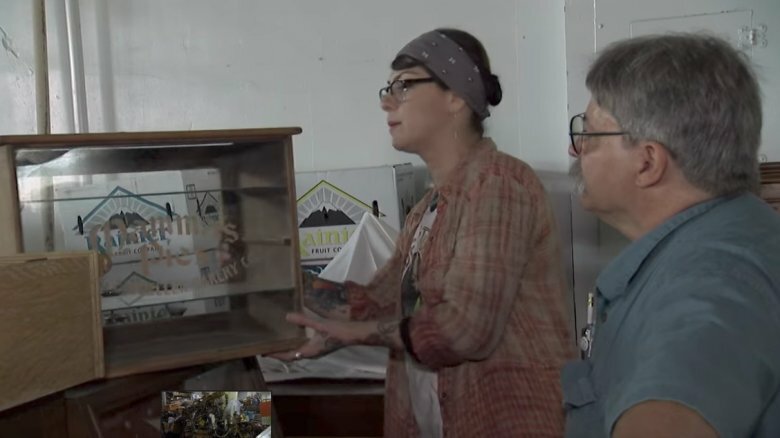 For American Pickers diehards, it might not matter if the show is fake—maybe it's just interesting because of the stories told or the history you can learn. If that's you, get your fill while you can. 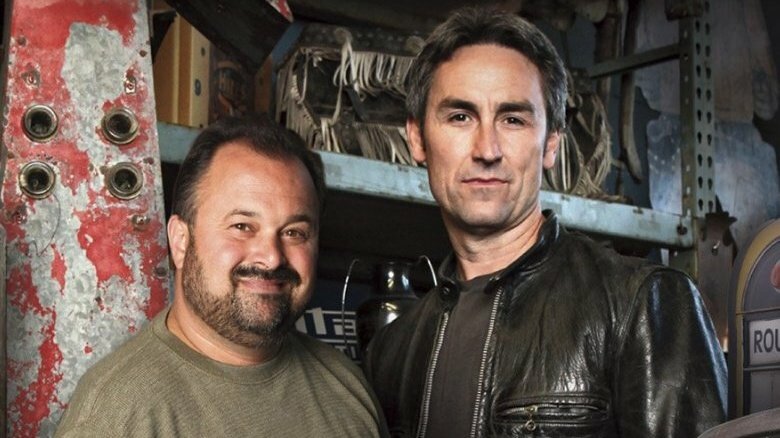 American Pickers might not be on the air much longer. During an interview with an Iowa news station in August 2016, Mike said he was thinking about doing "one more season and I'm done." He conceded that the network and the fans might not like his decision much, but he said it really came down to wanting to spend more time with family, particularly his young daughter. Hard to blame him for that. We'll see if he actually follows through with it. Mike said even if he isn't on TV, he'll keep picking. Somewhere out there, there's an old Victor bicycle buried in a barn. It's probably got Mike's name on it, just waiting to be found. Good luck!